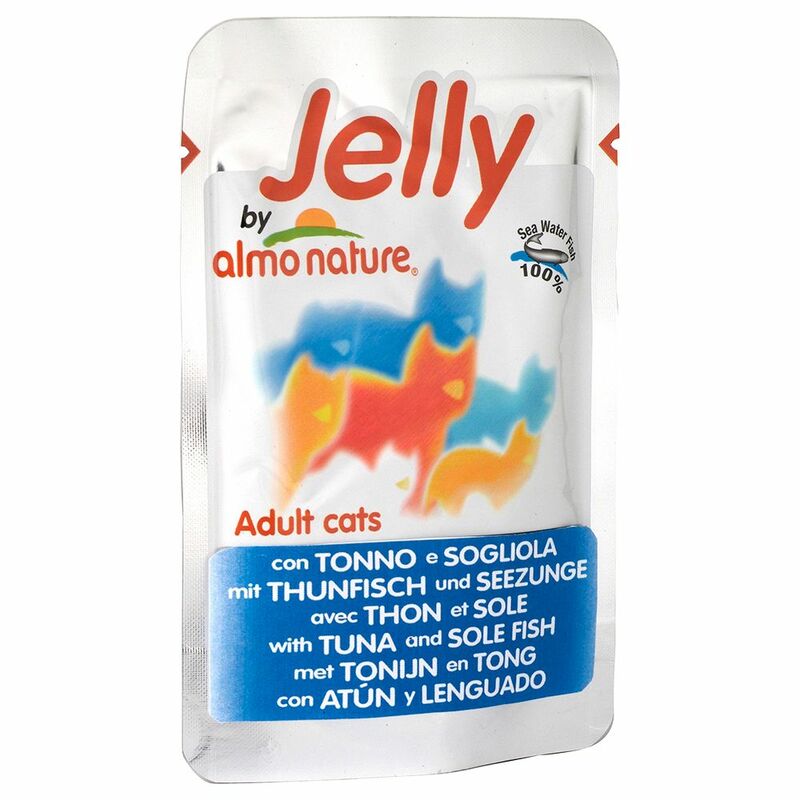 Almo Nature ClaΒic Jelly Pouches also help to clean your cat's stomach in a natural way. As with all Almo Nature ClaΒic varieties, this food is grain- and gluten-free, making it suitable even for sensitive cats. A delicious, natural food for the fuΒiest feline connoiΒeur! Almo Nature ClaΒic Jelly Pouches 6 x 70g at a glance: Supplementary food for cats of all ages Available in a range of flavour varieties With fresh meat and fish: with up to 51% finest quality fresh meat or fish of human grade quality Rich in moisture: with lots of natural stock to encourage intake of fluids Natural: gently prepared to make it tasty and digestible Natural protection against hairballs: the jelly helps clean the stomach and move swallowed hairs through the system High nutritional profile: gently prepared to preserve proteins and micronutrients Gluten- and grain-free: also suitable for sensitive cats In practical pouches: for easy, clean portioning and the protection of flavour and freshneΒ Light, delicious formula: a species-appropriate recipe that does not overload your cat with unneceΒary calories Free from artificial additives.